Who doesn’t love a free flight upgrade? Charles Stanley, that’s who. On a recent long-haul trip, British Airways upgraded his seat, at no cost. But when he returned home, he shot off a lengthy complaint to the airline’s CEO demanding a refund. Stanley’s request is one that had the Elliott Advocacy team a bit baffled. But as with all the stories we tell, there is a lesson here. And although Stanley didn’t want to hear it, you likely will. Did he pay for a flight upgrade? Stanley and his wife used a travel agent to book their round-trip British Airways flights from Chicago to Tel Aviv. The agent helped the couple carefully preselect their seats on the four legs of their itinerary. All of these plans were made seven months before the anticipated journey. The problems began on the way home from Tel Aviv. Stanley and his wife did not receive their bulkhead seats. Instead, he discovered that British Airways had moved their seats to ones toward the back of the plane. When Stanley protested at the check-in counter, the British Airways representative gave the couple new seats. Although these seats were near the front of the plane, Stanley says they weren’t the seats for which he paid. Disgruntled, the couple boarded the plane and found their newly assigned seats, which were just behind a bulkhead. Stanley noted that the seat numbers did not match the seat map his travel agent had shown him months before. When Stanley initially asked for our assistance, he had already taken quite a few missteps in his self-advocacy efforts. The most glaring one being his almost 2-page complaint sent to the CEO of British Airways. At the risk of sounding like a broken record, this tactic never works in favor of the consumer. No company CEO gets involved in customer service. There are teams of people below the top executive who are trained to handle consumer complaints. And once you have reached that highest level, if your request is not favorably received, where else can you go? Nowhere. For this reason, we always recommend starting your resolution attempts at the customer service level. If you do not receive the desired outcome, then you can systematically work your way up the chain of command. An excellent place to start any attempt at fixing a consumer problem is Christopher Elliott’s guide to self-advocacy. Unfortunately, Stanley had not reviewed this article. His first mistake was to send an email directly to the CEO of British Airways. His second was that the email was much too long and was filled with insults and inaccurate information. When Stanley did not receive the refund he demanded, he asked the Elliott Advocacy team to get it for him. The flight upgrade that Stanley referenced in his emails to our team and to British Airways was for bulkhead seating. He insisted that his travel agent told him that the fee he paid would guarantee a bulkhead seat. Knowing that it is not possible to buy a bulkhead seat on any flight, I explained to Stanley that his case wasn’t one that we could successfully advocate. Stanley wasn’t convinced that I understood his dilemma. Unfortunately, Stanley’s incredulity over this fact of airline travel is not unique. Each month, our advocacy team receives messages from a handful of angry consumers who have found themselves in the same situation. And our team is tasked with breaking the news: Your specific seat on any airline, in any cabin, is never guaranteed. 5e1) We will try to honour advance seating requests. 5e2) We cannot guarantee that you will be able to sit in any particular seat. 5e3) We can change your seat at any time, even after you have boarded the aircraft, as we may need to do this for operational, safety or security reasons. The Elliott Advocacy team is unable to advocate seat assignment changes unless that seat change downgrades the passenger to a lower cabin class. In that situation, the airline will owe the traveler the price differential between the two cabins. And in the case of a European airline, there are specific compensations owed for an involuntary downgrade as per the EC 261 regulation. So did British Airways downgrade this couple? I asked Stanley on several occasions if his and his wife’s seats placed them in a lower cabin class. This scenario seemed unlikely since their seat assignments moved the couple forward and not backward in the cabin. But Stanley continued to insist that the loss of the bulkhead seat was a lost upgrade. According to Stanley, British Airways owed him $180 for the debacle. Unfortunately, I seemed to be getting nowhere with Stanley. Often when a consumer does not accept the decision of one of our advocates, another advocate will jump in for backup. So my colleague, Dwayne Coward, decided to give this one a try. Dwayne reiterated my earlier advice that his email to the CEO was far too long. But Stanley disagreed with Dwayne as well. Please believe me that people can and will read a one and a half page, well laid out letter. Your guidance presumes that once you keep kicking things up to the next level that something will happen. I am here to say that with BA nothing happens, even when you email or write a professional letter to their CEO. Dwayne pointed out to Stanley that we resolve many cases with British Airways (For example: Why is British Airways referring me to the police department to find my lost bag?). But all of our consumer advocacy advice presumes that you have a resolvable case — with the facts on your side. And by sending a giant letter to the top of British Airways, Stanley was not following our guidance. Dwayne tried again. He asked Stanley for any supporting documentation that could help his case. And that’s when Stanley sent a document that closed his case — permanently. What Stanley sent was an email that he received from British Airways explaining why he wasn’t owed any refund. When Stanley and his wife checked in for their flight in Tel Aviv, British Airways had moved the couple to row 35. Their round-trip tickets were purchased in the World Traveller economy class. Row 35 is within the World Traveller economy class. However, when Stanley complained about his lost bulkhead seat, the British Airways representative gave the couple a free flight upgrade. They were moved to seat 21. This seat is in the World Traveller Plus premium economy cabin. Unfortunately, this information still did not assuage Stanley’s anger. He continues to insist that he paid British Airways for a bulkhead seat and that the airline owes him $180. It’s unclear how he determined the value of his lost bulkhead seat. But a flight upgrade to World traveller Plus costs much more than $180 for two people. What happens when British Airways must change your assigned seat? 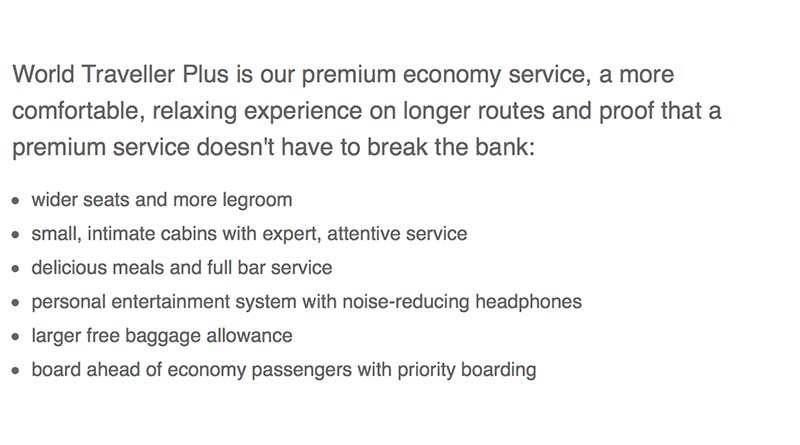 British Airways dedicates a page on its website to explain what happens when it becomes necessary for the airline to change a passenger’s prepaid seat. What happens when we change your seat? Sometimes we may need to change reserved seats, even after you have boarded the aircraft. Although we will do all possible to prevent this, it might be unavoidable for a number of reasons including a change of aircraft due to operational, safety or security reasons, so we cannot guarantee your reserved seat. If we have to change your seat, we will do our best to offer you a suitable alternative. We will try to seat your group together, then match your choice of window, middle or aisle seat, if possible. If you have paid for an exit row seat, we will try to offer you another exit row seat. British Airways specifically excludes bulkhead seats as a type of seat that can be prepurchased. These seats are generally saved for passengers “with a disability or, those travelling with an infant (under 2 years of age).” So when you reserve a bulkhead seat, you will always run the risk of getting bumped out of it if another passenger in one of those categories needs the seat. Exit rows, however, can be prepurchased and cost more than general seating. Stanley and his wife did receive the exit rows for which they prepaid and reserved. Finally, British Airways also details that a passenger can’t claim a refund on prepaid seats if they accept a free flight upgrade. And that is precisely what Stanley and his wife did. Should British Airways refund this free flight upgrade since the couple only wanted bulkhead seats? Posted in Advice Tagged A FREE FLIGHT UPGRADE IS BETTER THAN A BULKHEAD SEAT IN ECONOMY, BRITISH AIRWAYS DOESN'T OWE HIM A REFUND, HERE'S WHY YOU SHOULDN'T ASK FOR A REFUND FOR YOUR FREE FLIGHT UPGRADE, IF YOU GET A FREE FLIGHT UPGRADE YOU AREN'T OWED A REFUND, WHY DOESN'T HE LOVE A FREE FLIGHT UPGRADE?